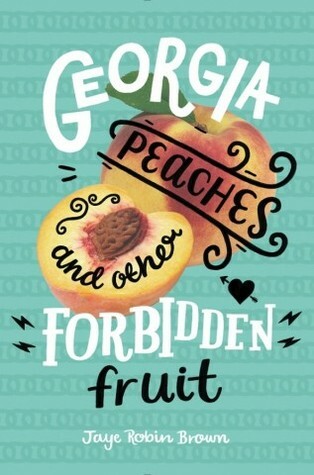 Excited to welcome two wonderful authors to the site today, Jaye Robin Brown, author of Georgia Peaches and Other Forbidden Fruit, and Amber Smith, author of The Last to Let Go, both of which are contemporary YAs with lesbian protagonists! Come learn more about their books and thoughts! Jaye Robin Brown: I’m so excited to get a chance to interview you! I vividly remember that Madcap Retreat in Gatlinburg, where you shared a room with me and Robin Constantine. 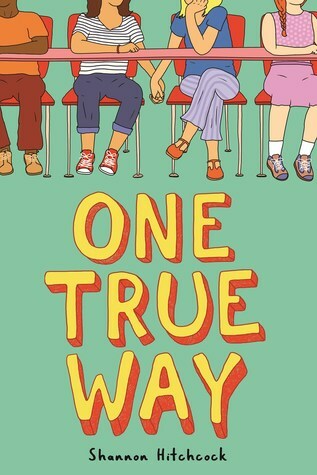 I was so sick that first day, barely knew you, but you graciously let me put my germy hands all over an arc of your first book, The Way I Used to Be. Reading the opening pages, I knew immediately you were going to be a force in contemporary YA fiction and I wasn’t wrong. Now, your second book, The Last to Let Go, has hit the shelves and wow, talk about a sophomore book with a bow and a flourish. My heart hurt in so many ways reading it. You took a girl who’d grown up with domestic violence and really showed us how having that model of relationship can seriously mess up one’s own relationships. I loved how as a reader I got so frustrated with Brooke’s interactions and then at some point I got it, like, OH, OF COURSE, it’s the only way she could be. Was this unspooling intentional? I really love creating complex, flawed characters who don’t always make the best decisions. And one of the things I wanted to show in TLTLG was how being raised in an environment rife with violence can often lead to the cycle of abuse being perpetuated in the lives those who witness it. But I wanted to show not only how this happens, but how it is stopped. I think the cycle of abuse phenomenon can be hard to understand, both from the perspective of an outsider, as well as someone stuck right in the thick of things, and so I wanted this “unspooling” (perfect word, by the way) to happen gradually, once we’re in the main character’s head-space, and hopefully seeing things from her perspective. And while we’re on the topic of characters who don’t always make the best choices… one of the things I loved so much about Peaches is how you showed the main character, Jo, who was always out and proud, make the decision to go back in the closet for the sake of her evangelist father. It was such a fascinating journey because often we read stories about the opposite process—coming out, rather than going back in. Yet the whole time the one thing that remains constant is Jo’s faith. You struck such an amazing balance, and that’s not something I’ve seen before. So, I’m interested to know, what inspired this story? 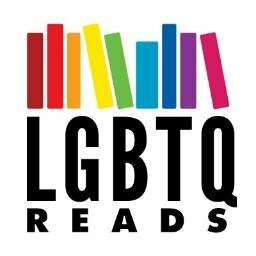 JRB: It’s funny, some readers got a bit frustrated with Jo and her retreat to the closet, which I totally get, but I think the reality is very real for most LGBTQ people. We’re still in a world where we’re constantly checking in on our “safety” in any given situation. Jo’s decision was based both on her desire for her father’s happiness and maybe a bit of her own fear in a new situation so she got to use her dad as the out. As to the inspiration, it was a combination of things. I heard an NPR segment on the wealth of radio pastors and thought “What if one of those guys had a lesbian daughter?” But I didn’t want to pursue the wealth angle, and it was too easy to write the stereotypical “you’re going to hell” pastor. I was also teaching high school at the time and had seen, first-hand, the devastation a judgmental church family could have on a queer young person. I knew that in larger cities, LGBTQ affirming churches were (and are) a thing. So out of this came Jo, very gay, very Christian, and unabashed about either. Like you, my first book, No Place to Fall, featured a straight protagonist. I wrote straight characters for many of my early manuscripts (ironically, my first manuscript to land me an agent was a f/f story—but the agent didn’t want to go out with that one—he and I parted ways and that manuscript is shelved). Now that Peaches has been so well-received and my third book releasing in 2019, The Meaning of Birds, also features an already out lesbian teen, I sometimes wonder if I could do straight romance again. I’ll be honest, I think about it from a financial standpoint, would it be a better career move for me? But then I shudder and think, no way, I don’t want to do that, I’m finally OUT in my writing and unlike Jo, I don’t want to go back in. What are your thoughts on making that switch with The Last to Let Go? Were you nervous about the romance between Dani and Brooke being out in the world or did it feel like a big sigh of relief? AS: It’s strange, I feel like so often people think of coming out as this one definitive event, but the reality is you have to come out a million times; it’s a decision you have to make over and over again. So, it’s been an interesting process to sort of “come out” in many ways with this second book where my main character, Brooke, is so gay. I think because there was really nothing remotely queer at all in The Way I Used to Be, people haven’t necessarily thought of me as a queer writer (despite all my rainbow emojis). So here’s a fun, little-known fact about The Way I Used to Be: in a VERY early draft of that book I played around with writing the main character as bi, but I ultimately edited that out because, much to my dismay, it just didn’t serve the story. But with The Last to Let Go, I knew Brooke was a lesbian from the start—I could see and feel her so vividly in my mind that it wasn’t even a conscious choice. And in this case it really did serve the story, because Brooke’s journey to embrace her identity and her struggle with coming to terms with her dysfunctional family were completely intertwined from the very beginning. On the one hand it felt so great to write Brooke as a lesbian, but on the other, part of me was nervous about representation. The #ownvoices movement in yalit is so incredibly important, yet it still feels super intimidating to actually call myself an #ownvoices writer. It’s such a big responsibility, and I really wanted to get not only the story right, but the LGBTQ rep part right, as well (because I think we all know firsthand how it feels to see representation mishandled). My third book, which I’m currently working on, is a first love story that features a trans character, so it’s definitely queer, but not the same setup as the f/f love story thread in TLTLG. Beyond book 3, I really don’t know what’s going to be next for me (which is both liberating and terrifying!). I do often wonder, though, if the sequence of my two books were reversed (if The Last to Let Go was my debut rather than The Way I Used to Be) how that might have affected the reception of both books…I’m still not sure. You mentioned being a teacher, so I’m curious about whether or not your experience working with young people has influenced your writing at all? And what kinds of responses have you gotten from readers about your books—did they differ a lot from NPTF to Peaches, as you moved from writing a straight protagonist to a queer one? JRB: Oh for sure it was helpful. I miss having that ready access to my target audience, even for simple things like “do you get this reference?” As to reader responses, the response to Peaches has been much stronger than to my first book. I regularly get emails from readers thanking me and telling me how much it meant to read about a lesbian character of faith. And not just from queer youth, but from adults, both straight and gay. It’s heightened my awareness of the opportunity I have as an #ownvoices writer to put meaningful stories into the world and to be out and proud as I do it. It’s very gratifying. And a heady responsibility to do my best. So here’s a fun (and final) question. 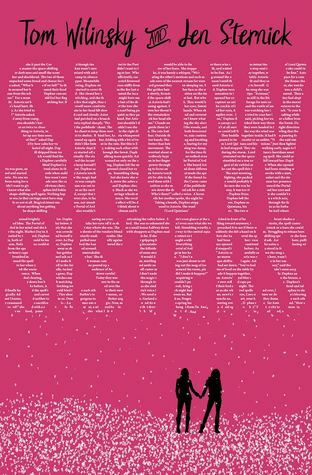 What three queer books (currently published and available) would be on Dani and Brooke’s bookshelves and why? AS: I LOVE this question! Well, since Brooke and Dani’s personalities are so different I feel like their books would reflect that. 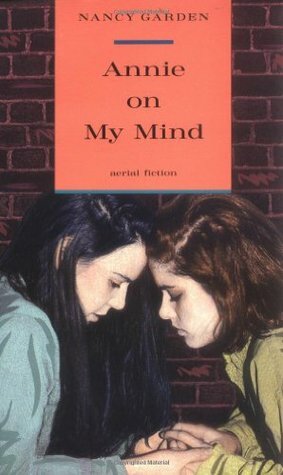 I think Brooke would have something more classic on her book shelf, like Annie On My Mind by Nancy Garden. Dani, on the other hand, has a much funkier, more eclectic taste, so I feel like she’d have something like the Batwoman comic book series proudly displayed in her bedroom. But then I could see the two of them reading Alison Bechdel’s Fun Home together and totally bonding over it! This has been such fun, thank you so much for chatting with me, Jaye! I’m so grateful that you are out there writing these stories that need to be told. And I cannot wait to read The Meaning of Birds next year! JRB: It’s been a total blast! 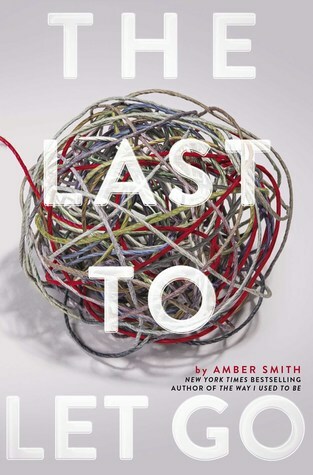 And readers, be sure and pick up Amber’s latest book, The Last to Let Go, so you can meet Dani and Brooke for yourself! And thank you, Dahlia for the invite! Jaye Robin Brown, or JRo to her friends, has been many things in her life–jeweler, mediator, high school art teacher–but is now living the full-time writer life. She currently lives in New England but is taking her partner, dog, and horses back south to a house in the woods where she hopes to live happily ever after. She is the author of NO PLACE TO FALL, GEORGIA PEACHES AND OTHER FORBIDDEN FRUIT, and the forthcoming THE MEANING OF BIRDS. Amber Smith grew up in Buffalo, New York, and now lives in Charlotte, North Carolina, with her two dogs. After graduating from art school with a BFA in painting, she earned her MA in art history. When she’s not writing, she is working as a curator and art consultant. She has also written on the topics of art history and modern and contemporary art. She is the author of The Way I Used to Be and The Last to Let Go. Visit her online at AmberSmithAuthor.com.